More handy tips for a happier work life. There were about fifty people gathered around the open grave site. The coffin was ready to be lowered into the pit. The priest was ready to begin. We were waiting for the wife of the deceased, a large woman in her sixties who was running, as fast as her heels, her physique and the sandy terrain allowed, in a tight circle at one end of the excavated hole, moaning and wailing unintelligibly while literally tearing out handfuls of her own hair, (something I had read about but never actually witnessed until then). She was closely followed by a group of family members seeking to restrain and console her while making plenty of noise themselves; in a word, bedlam. Suddenly she stopped and pointed at the casket, “I have no husband!” she cried dramatically and fell to her knees, getting a sympathetic murmur from the crowd. Then she slowly raised her arm and pointed to a young woman standing at the back of the group who I had noticed earlier. She and her partner were conspicuous on numerous fronts: They both sported mohawks, punk rocker shredded clothes and multiple piercings, tattoos and Doc Marten boots, and were unconcernedly smoking cones from a plastic juice bottle bong and swigging from an open flagon of port. The funeral guests responded with an audible gasp but it didn’t seem to bother the offending offspring, who leaned forward, and very calmly and deliberately gave her mother the finger. Now why have I shared this little story with you? It’s because I hope to finally begin our discussion of typologies, what they are and how you can use them in your personal and professional development, and because I want to be able to make a link to some material we’ve covered previously, especially around stereotypes. 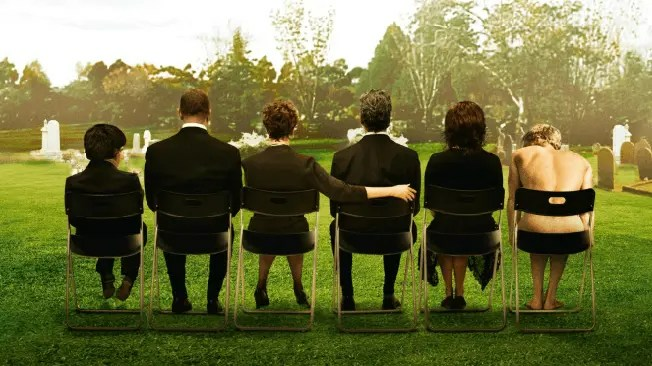 I was a witness to the above scene because as a younger (and much more attractive) man, I developed a fondness for crashing the funerals of people I didn’t know. I didn’t do it for any motives of profit or gain, (though the wakes often had great food and drink), I did it for reasons of shall we say personal research, (or mental illness, you can take your pick really); I was interested in the way people behave, especially when they are under stress, and my only defence is that I always tried to be a respectful observer, and to make them glad that I came. As I’m sure you know, our tendency to judge a book by its cover is hard wired into us. There are sound evolutionary reasons for it…most of the time you can get a lot of information from the cover, there’s often no need to read the book at all! The only time this strategy fails is when someone sets out to trick you, an unscrupulous ‘researcher’ like me for example. The second part of my disguise was behavioural. I used my manners. “Good manners will get you away with blue murder” as my dear old mum used to say and so I was always deferential and polite. I said ‘please’ and ‘thank you’ and ‘it’s nice to meet you’. I made a point of remembering people’s names. I offered to help with handing out refreshments or I would play some music at the wake. The idea that simply being courteous and respectful can increase your chances of being trusted and liked has a lot of science to back it up; in simple terms we tend to reciprocate like behaviours, so that if you’re nice to me, I’m more likely to be nice to you in return. So I’d select a funeral from the paper, put on my suit, and try to arrive late, thus avoiding questions before I was ready for them. Every funeral service included stories of the deceased’s life and times and I would simply select a single detail and build my own connection on that; so that when eventually I would be asked “So how did you know Stephanie?” (or John, or Daphne or whoever) I could reply something like “Oh I was just on the Bridge Team with her at Uni in Scotland and I saw the notice in the paper and thought, I just have to come. I hope I’m not intruding….” And so on and so on. As I soon discovered, they didn’t actually care what I said, they had already accepted me for what I appeared to be, and in all the forty or fifty times I crashed one of these events, my connection with the deceased was almost never questioned. They judged the book by its cover. So what has this got to do with Typologies anyway? Firstly let’s get our terms straight; a typology is a way of sorting people into recognisable ‘types’, as in “She’s the type of person who is loud and aggressive. He’s the type of person who is quiet and passive.” This is not a new idea, the ancient Greeks and Romans had their own fairly zany systems and we’ve been inventing and refining others ever since. Although some of these tests and instruments are sometimes called ‘personality tests’ that’s not what they’re measuring; the current thinking tends to the idea that ‘personality’ is far too complex, layered and contextual to be measured in these ways, and that what is being revealed by many personal or 360 degree reported questionnaire style profiles are behaviours. The bereaved widow tearing out her own hair was not alone, as I discovered. She was in fact, a ‘type’, and that’s how I would then mentally shorthand that kind of overwrought and physically big expression of grief when I saw it on subsequent occasions; “Oh here we go. Looks like we’ve got ourselves another ‘hair-puller’”. I developed my own set of ‘types’ based on the behaviours I saw repeated at funerals. There were those who reacted to grief with forced happiness for example. They’d laugh and tell jokes. Some would get amorous and sexually charged. Some would revert to silence, others talk incessantly. I learned to recognise different ‘ways of dealing’ with a stressful situation in others and how to adjust my own reactions accordingly. What I was observing though was how these funeral guests behaved, in this case, under very particular circumstances, which may or may not be indicative of their personality, which comprises many, many such behaviours, under innumerable conditions and encompassing other complex elements of genetics and nurturing and much much more! Do you get my drift? Personality is too big to easily measure; behaviours are small and can be very reliably measured. Typologies generally measure preferred behaviours, which in the workplace context can translate as simply as “She likes pie-charts and deadlines and he likes doodles and last minute all-nighters”. They can be incredibly useful tools at all levels of an organisation and we’ll look at a few of them in more detail next time.